You are properly sick of hearing the doom and gloom on the economy, it doesn’t seem to be getting better does it? 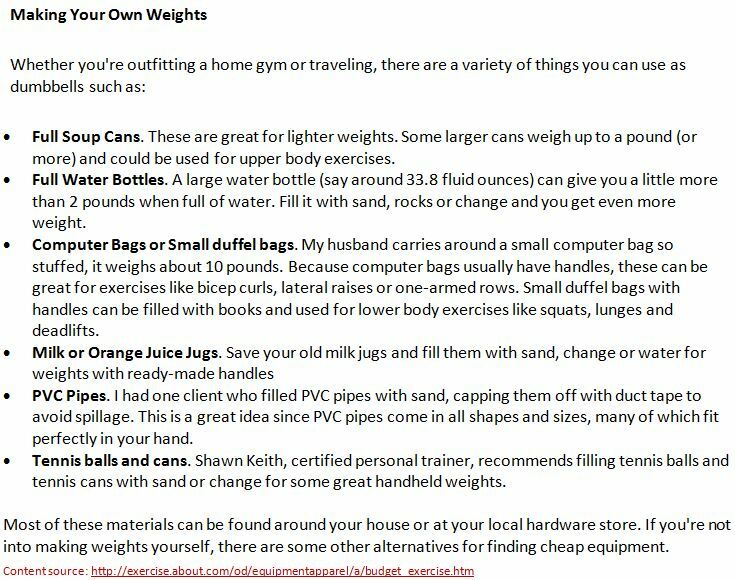 Well exercise can be inexpensive if you have a little bit of free space in your home, you can cancel your gym membership and save your save 50 big ones a month. Fitting in exercise into your to your routine can be difficult, if you have a home gym you have no excuse to not be motivated. Working out in your home can be easier than you think, even with the usual family distractions. Find space for a mega gym in your home and or a space in your living room to undertake your exercise routines, exercising at home can save your family money each month, money that could be better spend on that family vacation. 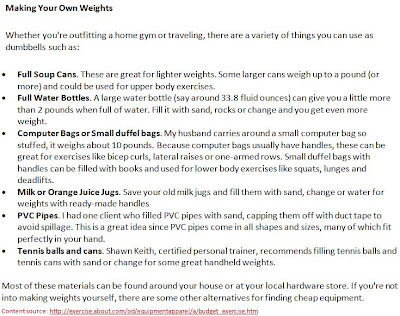 Even if you don’t have the biggest budget to create your perfect home gym there are thousands of ways to be creative. You can consider exercise routines that don’t involve gym equipment or you can have a go at making your own. If have decided to cut back on that gym memberships its important you don’t fall into old habits, if you are trying to manage your weight or just get buff you need to ensure you don’t get distracted. You can do this by creating a home workout plan, this is easily done and it can help you fit your lifestyle around your exercise. Many people that build home gyms or start exercising at home find they have more time to exercise and spare time as they do not have to travel to the gym every few days, you are potentially saving money on fuel!! · Safety – you should never comprise on safety, try to find a safe place to undertake your exercise. Never leave equipment turned on or in reach of young children. · Equipment – if you haven’t got the budget you might be looking to buy used equipment. You should never buy faulty or damaged equipment, you don’t want to hurt yourself or a family member during exercise, damaged goods can make the machines weaker. · Motivation – you should never cut away your motivation, whether it be your MP3 players or magazine. If you meet your targets or you do a good job you need to reward yourself into doing the best you can. · Fitness monitors – never cut back on the tools that will aid your fitness, heart monitors, sports watch and scales are just a few things that you need to be able to successfully train and monitor your progress. When you are trying to cut costs remember that being creative can you hundreds of notes year, if you have any great workout tips please share them with us.